Ventriloquist dummies is not cheap at all. That is, those that are is not really good, and if I should do this at all I wanted a good one. 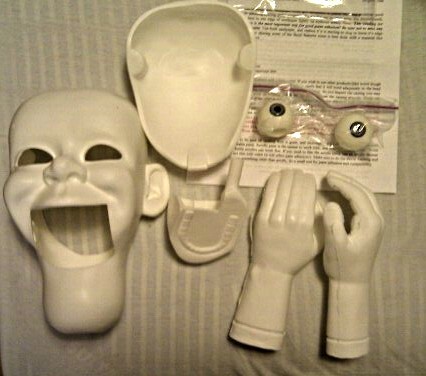 My first attempt to get hold on a ventriloquist dummy on a budget was to buy a cheap plastic version of Charlie McCarthy, Edgar Bergen’s famous dummy. I bought one on eBay with plans to change it to get moving eyes and a new body so I could move the head. All it had in advance was a string in the neck that could open his mouth. As soon as I received it I saw that this was not going to be successful in any way. The head was just too small, much smaller than I thought it was. I was just about to give up the whole idea when I made a gigantic U-turn and start of the project that I’m in the middle of at the moment: I made some orders at Puppets and Props the (in the ventriloquist circles) famous shop of Mike Brose. 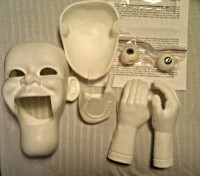 There I bought a “Fred” casted head, hands and two beautifully crafted eyes. I also considered the “Little E” head, but I liked Fred better. Norwegian taxes and shipping included, it got a little expensive, but as soon as I saw the parts I was delighted. Mike Brose has made a fantastic job with the sculpting. If this is not going to be a smashing dummy, it will be my own fault for sure. It was a great experience to buy from Brose, the communication included. If you ever consider buying parts, this is is the place you should consider first. 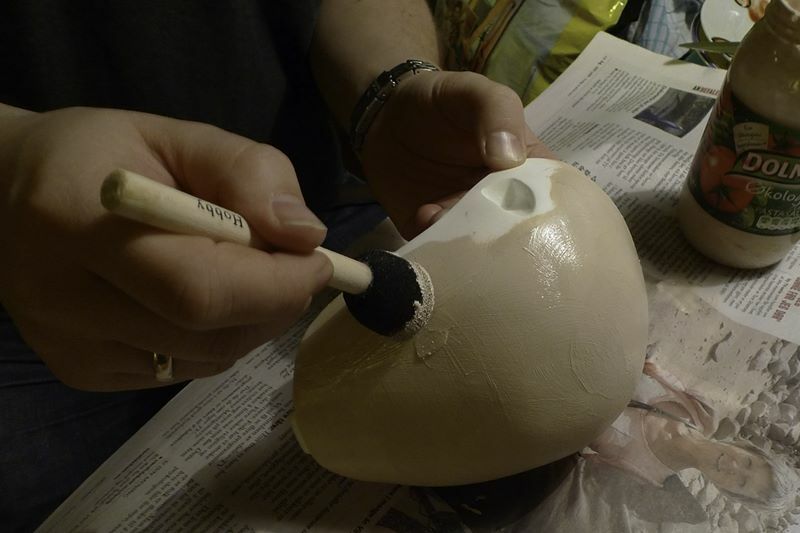 It is no reason to fool anyone about this job: It look so simple getting the readily casted head, but don’t be fooled. It is really a lot of work left for me. A lot of work with sand paper, washing and cleaning, painting and above all; a lot of work creating and installing the mechanics. I will explain more about this in later posts.